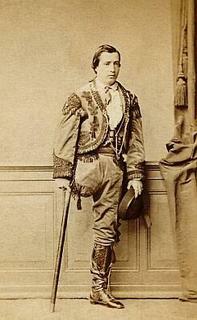 Ckick the following link to learn more about Donato the one-legged dancer and other 19th-century amputee performers. It is an interesting article. But most of all I thought the Temple University site was a great find and an interesting resource. I noticed that Penny Richards cites a 1924 article from London Life. This is a strange and fascinating publication more associated in my mind with fantasy than authenticity. Definitely not LDS. Is this a hint that you intend to take up dance soon, because of all the extra time on your hands? I’ve added this to the blog for my own interests, really. I like to keep abreast of disability studies in the 19th century, and this seems an intriguing resource. Of course, there’s the part of my that wishes I could see the antics of these perfomers–given my own limitations I can only imagine how hard it must’ve been to dance on one limb. But I also suspect that this may have been an important avenue for ppl w/disabilities to make money in times of intense discrimination.